This no cook cranberry sauce is tart, sweet, with a hint of citrus. 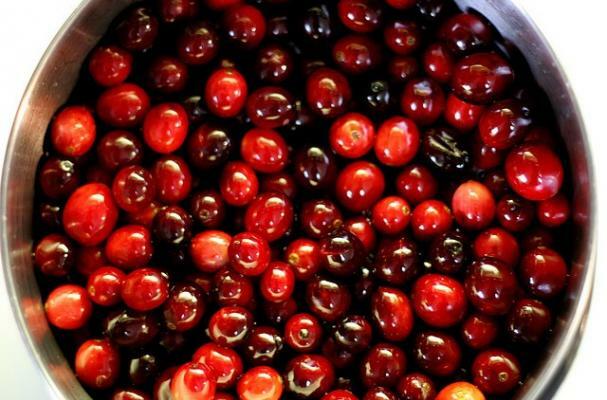 Cranberry-orange relish only requires three ingredients and is so easy to make with the aid of a food processor. The trick is to let the ingredients sit and mingle for a couple of hours to let the flavors merry together. It can even be made ahead of time, up to two days in advance. If you prefer cooked cranberry sauce, add these ingredients to a sauce pan with a cinnamon stick and cook until thick and bubbly. Pick through the cranberries and remove any bad ones. Cut the orange into eights and remove the seeds. Place half the cranberries and half the orange in a food processor, fitted with the steel blade, and pulse until the mixture is evenly chopped, but not pureed. Transfer to a medium bowl. Repeat with the remaining cranberries and orange. Combine all ingredients in bowl and stir in the sugar. Cover and refrigerate for at least 2 days or up to 2 weeks. Serve chilled or at room temperature. I have been making this relish for years. I love it, and it's always a hit whenever I make it.